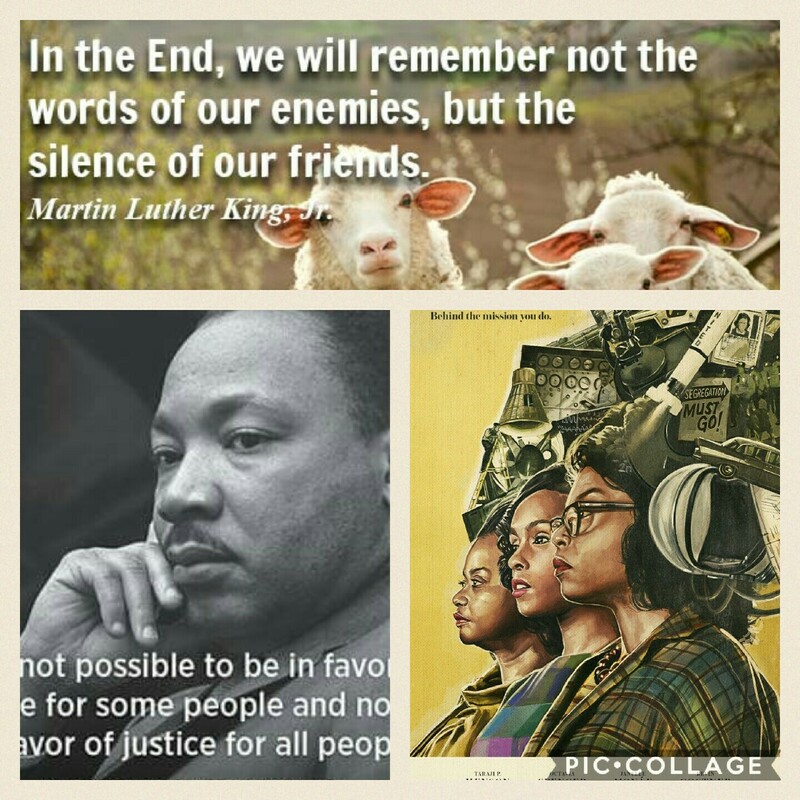 Today we celebrate the life of Martin Luther King Jr. His Birthday is January 15th and we celebrate on the third Monday of January. Martin Luther King Jr was an American Baptist minister and activist who was a leader in the Civil Rights Movement. He is best known for his role in the advancement of civil rights using nonviolent civil disobedience based on his Christian beliefs. There are many ways that we honor Dr. King in the United States. Different groups honor him in different ways, lectures, celebrities, it’s a federal holiday, schools are closed, some companies give their employees the day off, as mine did. Since I knew I would have been in Chicago today, DLP and I decided to go to the movies and it seems fitting that we saw Hidden Figures. Hidden Figures is a movie based on a true story. A team of African-American women provide NASA with important mathematical data needed to launch the program’s first successful space missions. It was an amazing and powerful story. The three main characters are smart, clever, personable women you can’t help but cheer for, want to succeed and wish you had even a fraction of their brains. The movie took place during a difficult time in history for people of color. It was interesting and difficult to watch at times, empowering, happy, sad, frustrating, exciting, so many emotions. There were tears, anger, joy and those were the feelings of the audience. It was an amazing and inspiring movie, I walked out wanting to be a human computer! Go see it!